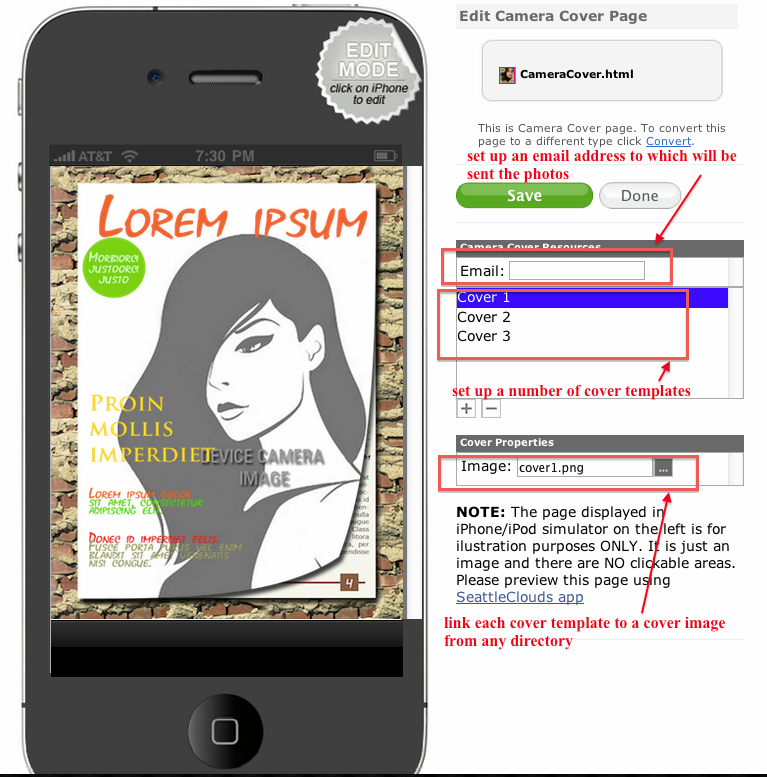 Cover Camera Page is an awesome feature to help your friends, family members, lover and pets become a magazine cover model. You can take a new photo and insert it into a cover template and then email it. In order to add a new Camera Cover Page to your app, go to Edit Pages menu then click the "+" (Add New Page) button. From the list of the page types available select the Camera Cover and click the "Create" button. On the right side there are 3 fields that need to be completed. The first one is for setting and email address to which the user will send the photos from the device. (the address can be edited from the device). In the second field you have to indicate how many cover templates you want to have. Finally in the third field you need to link each cover template to a customized image (e.g. magazine template image). Press take picture to make a photo.After you took the photo, you can change the cover templates clicking on the arrows. Once you have taken a picture and added a cover image to it, you can email it or delete. At the "send email" form there are 4 fields. Each can be edited. 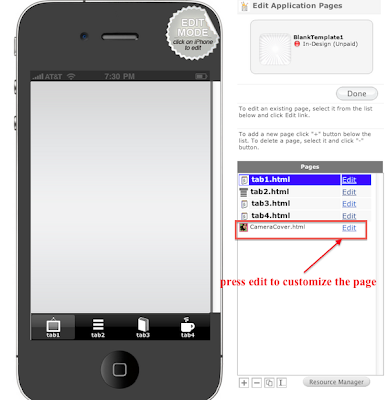 **NOTE: This page can be tested ONLY using the App Builder AppPreviewer application.